MBTA: Wrentham is a member of the Greater Attleboro Taunton Regional Transit Authority. 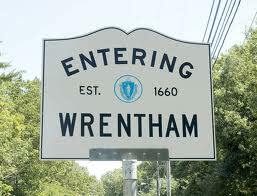 Wrentham’s name is unique to the United States with only two other Wrentham’s existing in the world in England and Canada. Incorporated in 1673, this small town is home to two beautiful lakes, Lake Pearl and Lake Archer. Helen Keller called Wrentham home beginning in 1905 where she began her time as a member of the Socialist Party of Massachusetts, became a suffragist, and published several books. Other notable residents of Wrentham include John Cena, WWE wrestler and Scott Brown, former U.S. Senator.